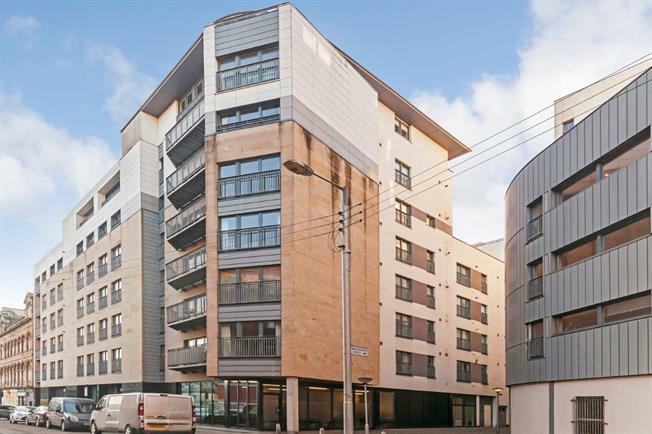 2 Bedroom Flat For Sale in Glasgow for Fixed Price £210,000. Bright and contemporary apartment stylishly designed with a generous footprint, large windows and a balcony accessible from all rooms. specification and quality appliances in the kitchen. The accommodation comprises security entry, speedy lift, inner hall with laundry room, storage, large lounge/dining/kitchen with a range of appliances. There are two well appointed bedrooms with built in wardrobes. The property also has a secure allocated parking space close to the lift in the underground garage.